Hector Bellerin is on the verge of signing a contract extension with Arsenal, his agent has revealed. Bellerin has been a revelation for the Gunners in the last couple of seasons, and made it into the Premier League Team of the Year last season after putting up solid displays for the North London club on a consistent basis. He made 36 appearances in the league last year, and has started every single one of Arsenal’s games so far this season. Bellerin’s previous club Barcelona have been repeatedly linked with a move for their former starlet, who has progressed at a rapid rate since his move from the Nou Camp to the Emirates in 2011. The 21-year-old was also linked with a switch to Manchester City in the summer, with former Barcelona manager Pep Guardiola taking over the reins at the Etihad. However, Bellerin insisted that he sees his long-term future with Arsenal, and has no intentions to leave the club. 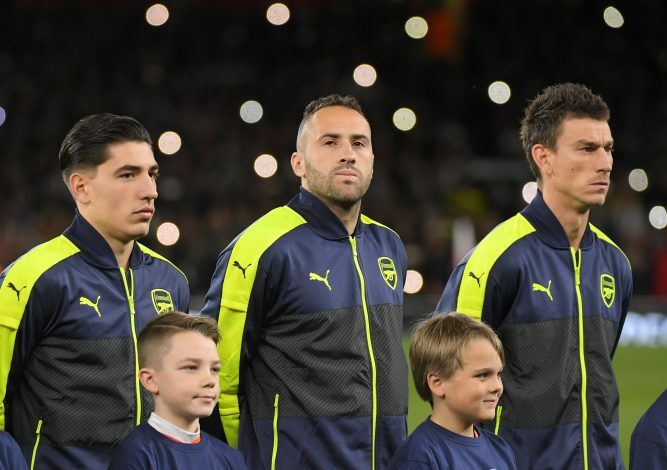 The Spaniard is now on the brink of signing a new long-term contract with the Gunners, that could see him become one of the top earners at the club. His agent Albert Botines revealed: “We are speaking and are now a lot closer than we were two weeks ago. In a normal situation he will sign. Bellerin also rubbished claims that he was set to move back to Barcelona, by saying that he would have stayed there if he wanted to play there.